20/7/12 - Petition - Paris, Institut Néerlandais - We announced it in our news item of 19/7/12 : the team at the Institut Néerlandais, now facing the total elimination of its funding as of 1st January 2015 (thus meaning purely and simply that it will disappear), has decided to actively oppose the measure. Their initiative is similar to a referendum with the goal of collecting 40,000 signatures so that the question can be raised in the Dutch parliament. While only the signatures of Dutch citizens will be taken into account, those gathered in France will play an important symbolic role by attesting to the profound attachment in this country to the institution founded by Frits Lugt. 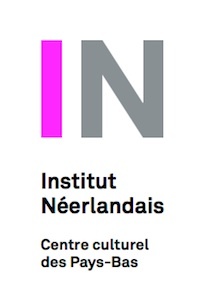 This petition will put pressure on the Dutch government by demonstrating that the Institut Néerlandais also plays a major cultural role abroad. We thus find it essential that any French person concerned by the future of the Institut Néerlandais (can anyone appreciating art remain indifferent given its very close ties to the Fondation Custodia ?) sign this letter addressed to the Queen of the Netherlands and which can be downloaded at this address. For the signature to be included, it cannot be done on the net unfortunately and the letter must be signed and sent before 17 August, either by mail or fax, or even scanning it to the Institut Néerlandais email address.